and a copy was ordered from the General Register Office. 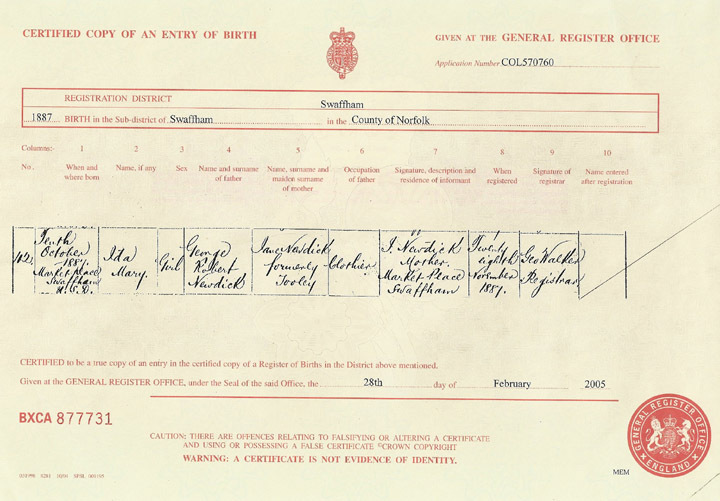 Here is an enlargment of the "important" part of Ida's Birth Registration. Click to return to Ida Mary Newdick on the Newdick page.